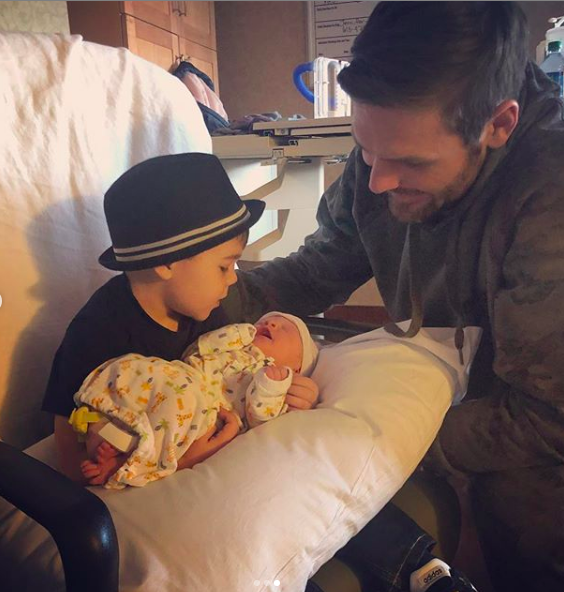 "Jacob Bryan Fisher entered the world in the wee hours of the morning on Monday...his mom, dad and big brother couldn’t be happier for God to trust them with taking care of this little miracle! Our hearts are full, our eyes are tired and our lives are forever changed. Life is good..."
"Mike and Isaiah and I are absolutely over the moon and excited to be adding a little fish to our pond. This has been a dream come true with the album and baby news and all that stuff." Some causes of recurrent miscarriages include thyroid disorders, infections, immunologic factors, genetic abnormalities, endocrine disorders, and diabetes. Medically speaking, a recurrent miscarriage is defined as the occurrence of three or more clinically recognized pregnancy losses before 20 weeks of pregnancy. After one miscarriage your chance of having a full-term baby is about 76 percent, after 2 miscarriages, it’s 70 percent, after 3, it’s 65 percent, and after four miscarriages a live birth is anticipated in about 60 percent of pregnancies. After announcing that a new baby is on the way, Carrie shared the excitement with her fans, "We are just so excited and just so glad that you guys can share in this with us and be a part of this with us."